Customer service is in Kim’s blood, having worked 25 years in her parent’s business in Claremore, OK and then for 15 years with another family-run company, she knows how to overcome any hurdle. 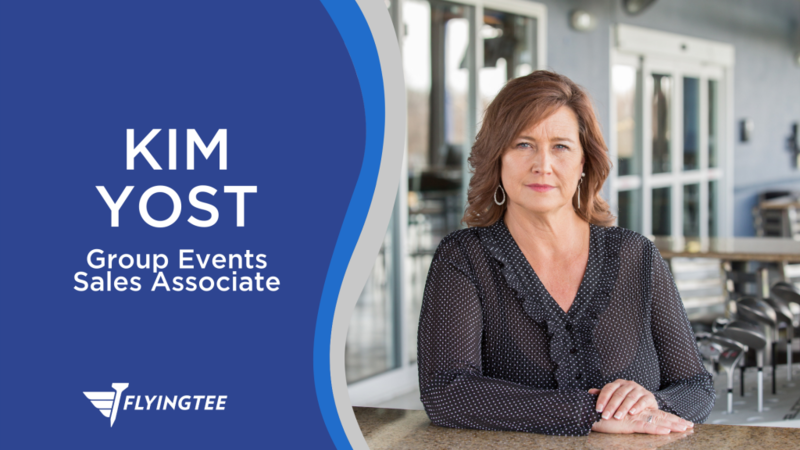 FlyingTee is the perfect fit for Kim as she loves how her role “allows (her) to be creative, to help others and meet new people every day!” Her career experience has taught her the value of hospitality, compassion, truth, and integrity. Whether looking to book a team building or your next social event, you can rest assured that no detail will be missed with working with Kim. Events at FlyingTee are nothing less than out of this world! When he is not working: Traveling and enjoy spending time entertaining on her backyard deck. Passionate about: His kids! Sean still has a son in BAHS, playing basketball and a daughter who also plays basketball and a competitive dancer.